It’s fair to say that the battle for Macau’s best casino currently boils down to The Venetian Macau vs City of Dreams Macau. 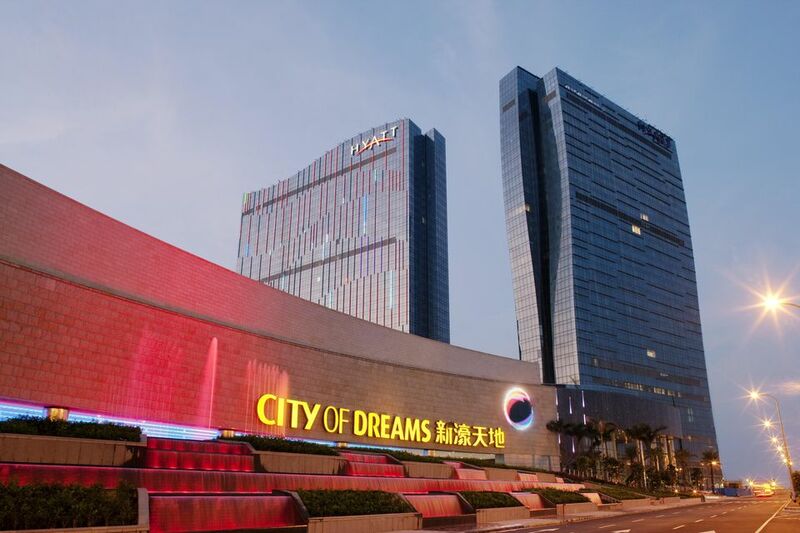 The City of Dreams Macau is a one of a new breed of mega, casino resorts in the city and with its round the clock entertainment, high-end hotels and gourmet restaurants it aims to be a destination for tourists looking to relax as well as gamblers. If you’re looking for a Vegas-style resort in Macau, the City of Dreams Macau is a little more stylish than the faux cobblestones and gondoliers of the Venetian across the road. In addition to unrivaled dining and accommodation options, 42,000 sq. feet of gaming floor also means there is more than enough action to keep you and your wallet happy. Stuck in a staring contest across the Cotai Strip, the Venetian is the world’s biggest casino and pretty much a carbon copy of its sister Venetian in Vegas. Its gondolas, canals, and maze of shops delivered Macau’s first true Las Vegas-style resort casino, moving away from the backrooms and black suits that once dominated the Macau casino scene. The City of Dreams Macau aims to be smarter, younger and hipper. If Ocean’s 14 was set in Macau, this is where you’d find George Clooney sipping cocktails. The resort itself has an MTV design, a beautiful combination of sweeping, artistic interiors, bold lighting and contemporary furnishings while accommodation and dining are high-end affairs. While entertainment, accommodation, and dining are all in abundance, they are aimed at a slightly older, more discerning crowd. It’s all squarely aimed at couples, groups of guys, or girls, and there is relatively little on offer for families. At the business end of the City of Dreams Macau is the casino and gaming floor and gamblers won’t be disappointed. There are over 420,000 square feet of gaming on offer, including 520 tables and 1350 machines. Well-lit and relaxed it’s an easy place to become comfortable and empty your wallet. The blockbuster entertainment at the City of Dreams Macau is the House of Dancing Water - an action-packed and unique water-based show in the casino. Part synchronized swimming, part Evil Knievil it's a breathtaking spectacle that has received rave audience reviews. Also on site is the Dragon's Treasure, a 10min light and sound show popular with the kids - as is the Kid City inside the Hard Rock Cafe Hotel. There are also a handful of more adult-themed lounge shows which are largely mediocre. If you can peel yourself away from the tables, your free time is best spent in the restaurants. There is little of the all you can eat, free for all buffets seen in Vegas or the Venetian across the road; the emphasis here is on fine dining. The five ‘signature restaurants’ are jaw droopingly stylish with sleek interiors where dressing up, not down is expected. The reward for ironing your shirt and hunting down a tie is truly superb food, from local Cantonese favorites at Treasure Palace to the steaks at Horizons. Accommodation is also unrivaled. In the Hard Rock Hotel and Crown Towers the City of Dreams Macau is probably home to Macau’s two best hotels, the Mandarin Oriental accepted. Rooms at the Crown Towers are fitted with Ottomans and marble bathrooms and are spruced up daily with fresh flowers. Firmly in the sheiks and stockbrokers price category, it’s a fantastic stay, if you can afford it.